poll – Design Your Lifestyle. In our previous article, we previewed the “New York” set of colors in the Pantone Fall 2017 series. Themes of individuality, warmth and classic shades permeate the collection. Bold colors like Grenadine and Marina jump out between bright neutrals Butterum and Autumn Maple, while the gorgeous Navy Peony begs to work with intriguing shades like Ballet Slipper and Golden Lime. It’s a balanced yet unconventional mix of 3 reds, three blues, a green and 3 neutral/gray tones. The balance provided by Neutral Gray and the brown neutrals give design enthusiasts plenty of color combinations to play with, and the rich deeper tones like Tawny Port and Shaded Spruce hearken back to the jewel tones that spiced up Pantone’s Fall 2016 color palette. But which color combinations did we immediately fall in love with for the fall of 2017? We’ve pored over the possibilities and come up with a list of 5 color tandems that we think will liven up your autumn design. We played a bit of a game with the color combinations to make it more interesting: we had to use all 10 colors in the Fall 2017 New York palette, and each color could only be used once. So we ended up with 5 unique color combinations that showcased the entire color collection. Of course, some design choices (especially home design, kitchen and bath design) are much more difficult choices than others – so make sure you consult an award-winning expert before you jump into those decisions! Here is our list of 5 favorite color combinations from the Pantone Fall 2017 New York Series. VOTE BELOW on which color combination is your favorite! Pantone Fall 2017 New York color combos: Butterum and Tawny Port. Pantone Fall 2017 New York color combos: Grenadine and Neutral Gray. Pantone Fall 2017 New York color combos: Shaded Spruce and Baby Slipper. Pantone Fall 2017 New York color combos: Golden Lime and Navy Peony. Pantone Fall 2017 New York color combos: Marina and Autumn Maple. VOTE on Peter Salerno’s New Transitional Kitchen Display: Flooring Options! June 2015 June 2015 Peter Salerno, Inc. The response has been so overwhelming, Peter Salerno Inc. is giving you twice as much control over their new transitional kitchen showroom display, which will feature cutting-edge Generation 6000 Miele appliances, as well as flooring and tile options from Stratta, the Tile Boutique. Below, you will find examples of 4 flooring options for Peter Salerno Inc.’s new transitional kitchen showroom display (labeled Option A, B, C and D). Believe it or not, each of them is porcelain wood flooring – and they’re all so beautiful Peter and his team are having a hard time deciding! 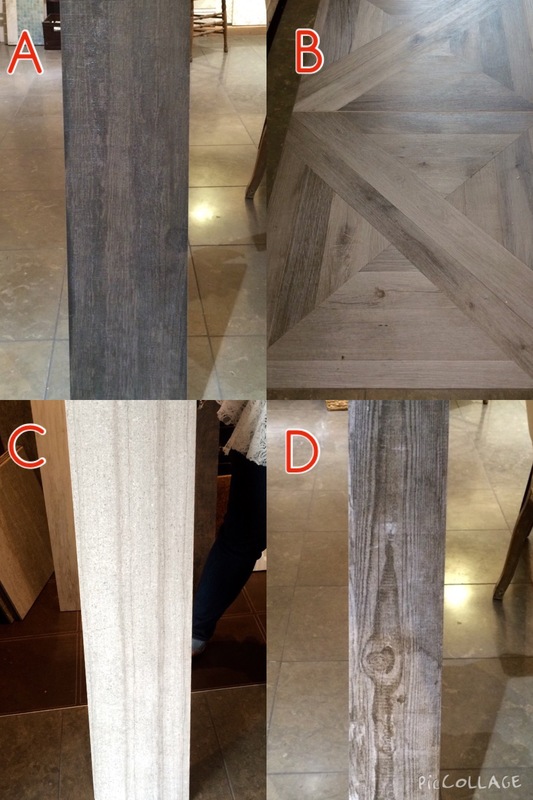 Which porcelain wood tile option would you choose? VOTE! So, Peter Salerno Inc. is leaving it up to you once again. You have a direct say in the newest display in the Most Innovative Small Showroom of 2015, as awarded by the National Kitchen and Bath Association (NKBA). How would you choose to pair backsplash tile with porcelain wood flooring? Which of these 4 design options stands out to you? VOTE in our design poll, and the winning option across our blog, Facebook and social media will be used in Peter Salerno Inc.’s newest showroom display! VOTE on Peter Salerno Inc.’s New Transitional Kitchen Design Display! Help Peter Salerno Design His Next Transitional Showroom Design! Coming this September, Peter Salerno Inc. will unveil its brand new transitional design display in its Wyckoff, New Jersey showroom, voted Most Innovative Small Showroom at the 2015 NKBA KBIS Convention. We’ve already told you about some aspect of this stunning new transitional kitchen display, including Generation 6000 Miele appliances. But now YOU can help Peter Salerno Inc. and his award-winning kitchen design team put together this stunning transitional display! Below, you will see 4 tile options, courtesy of Stratta, the Tile Boutique. 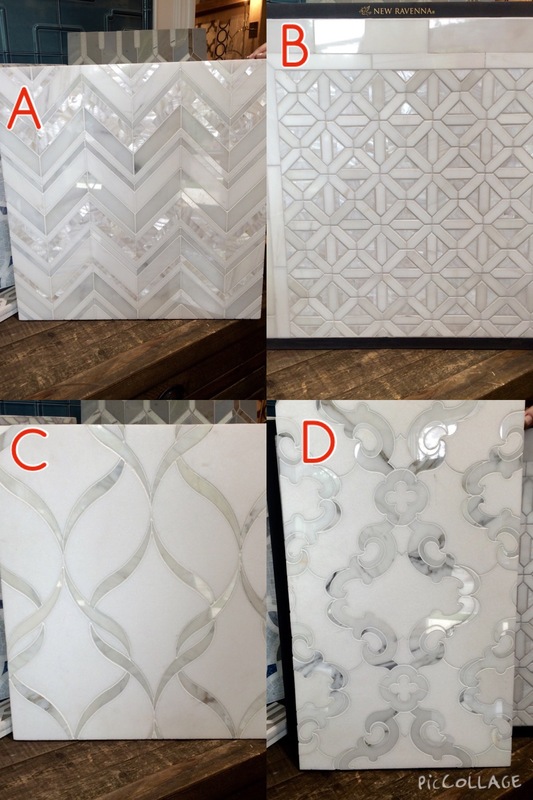 One of these four tile designs will be featured in Peter Salerno Inc.’s new showroom design, and YOU get a say in which one it is! Vote for your favorite tile design! At the end of the summer, Peter Salerno Inc. will tally votes from the blog, Facebook, and other social media outlets, and your vote could help decide the future of Peter Salerno Inc.’s showroom! VOTE for Your Favorite French Kitchen Design! 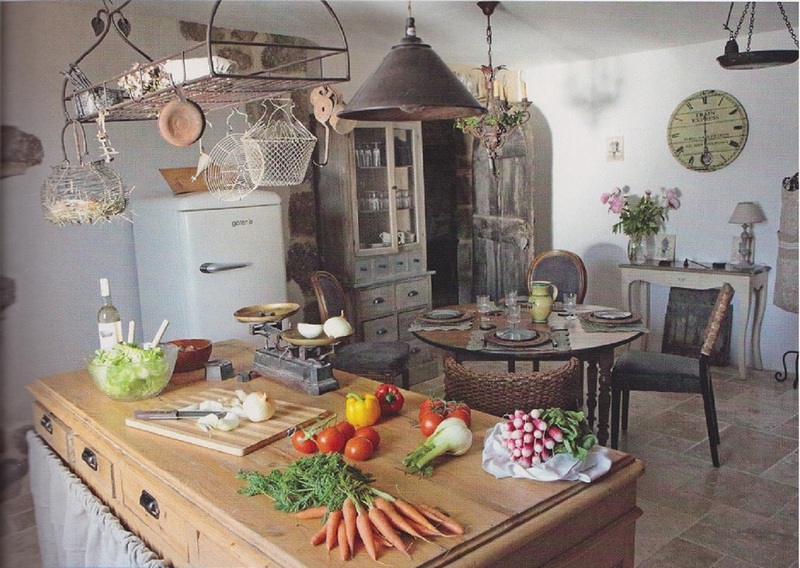 Over the past few weeks, we’ve given you an inside glimpse at Peter Salerno’s trip through the French countryside and some of the remarkable kitchen designs that have inspired him (as well as the whole team here at Peter Salerno Inc.). Now, we want to hear from you, our valued readers and clients! 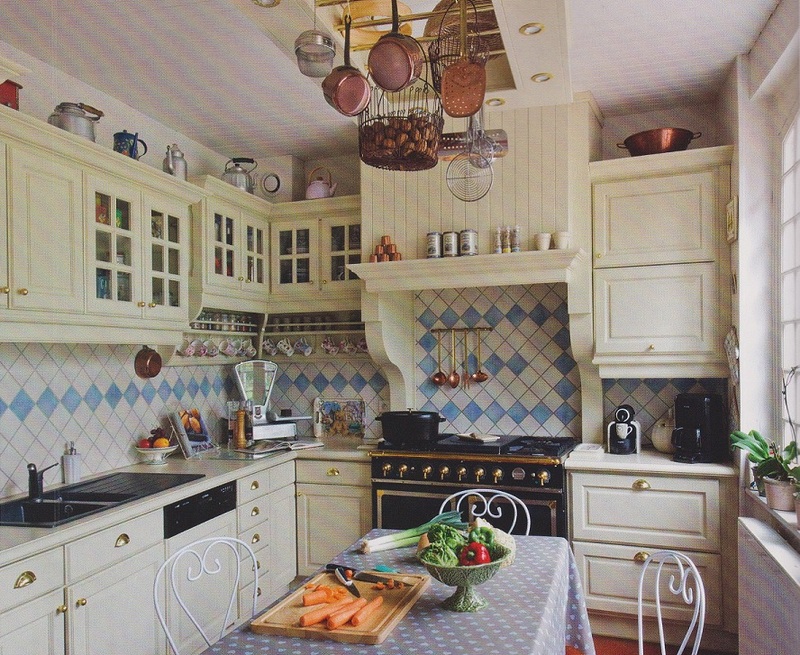 We’ve shown you several outstanding kitchens from various regions of France. Which one do you prefer best? 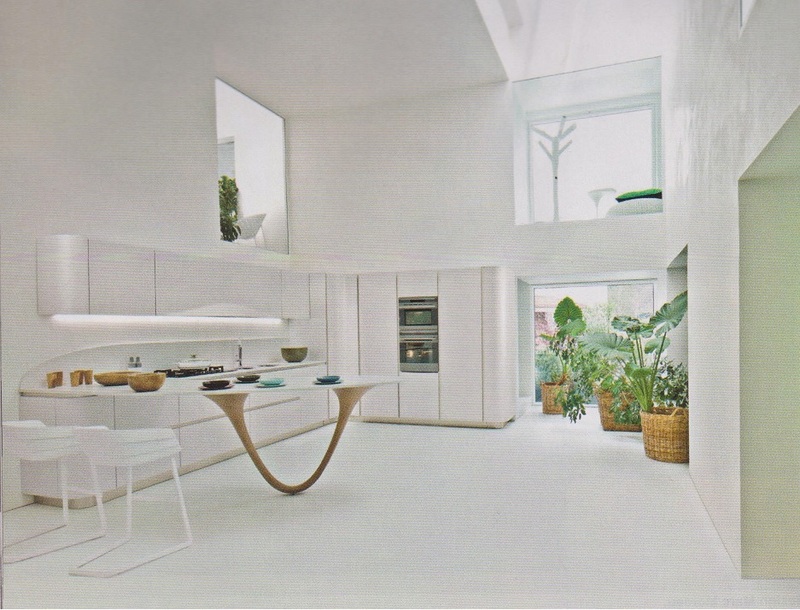 Do you favor the warm, painted kitchen from Oise? 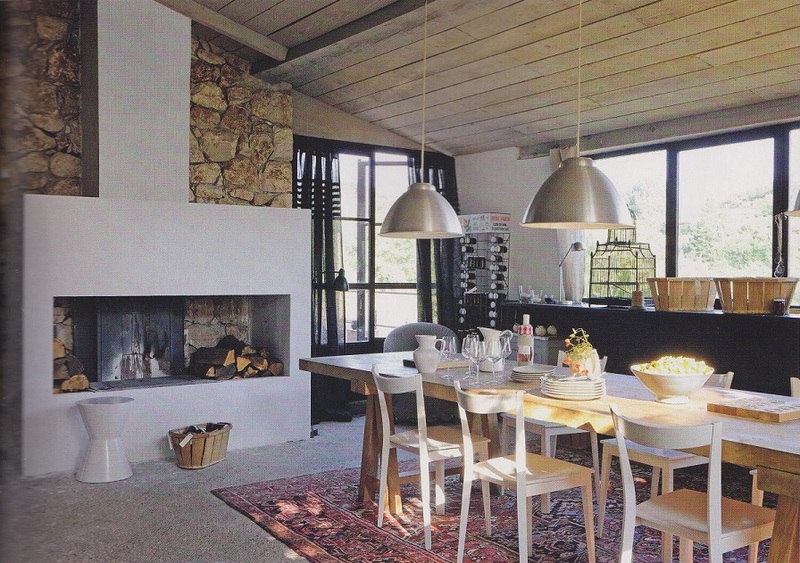 What about the stone-and-white kitchen from Vence in the Alpes-Maritimes? Or does the hybrid, modern feel of the French/Italian kitchen from Snaidero catch your eye? Below, we’ve set out photos of four kitchens we’ve featured in recent weeks. YOUR votes will help Peter Salerno and his team of designers and expert craftsmen focus their inspirations into new visions for our award-winning kitchen designs. Take a moment to look at each kitchen closely (note: CLICK each photo to enlarge), see what you like best, and vote in the poll below! Thanks! August 2013 Peter Salerno, Inc.
Our first poll was such a smash hit, with hundreds of you checking in (via the poll on this blog, our Facebook page and other social media outlets) – that we’ve decided to give you another chance to make your voice heard! In our first poll (which is still open), the choice between a contemporary kitchen or traditional kitchen theme is neck-and-neck. But how will your votes dictate our second choice: between a beautiful, painted kitchen theme (Kitchen C) and another traditional, lush wood-grain kitchen (Kitchen D)?? 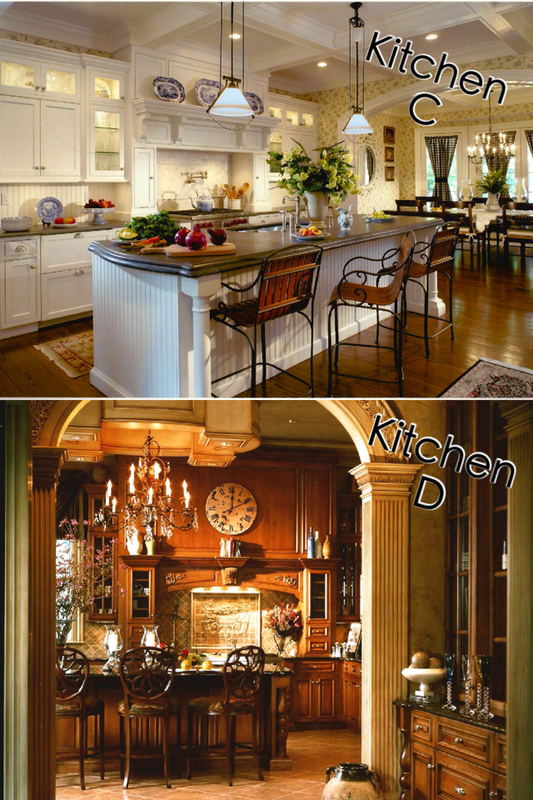 Here’s where it gets fun: the top two kitchens overall from both our polls will be featured in Peter Salerno Inc.’s 2014 advertising campaign for their award-winning kitchen designs. That’s right, the choice is entirely in your hands!